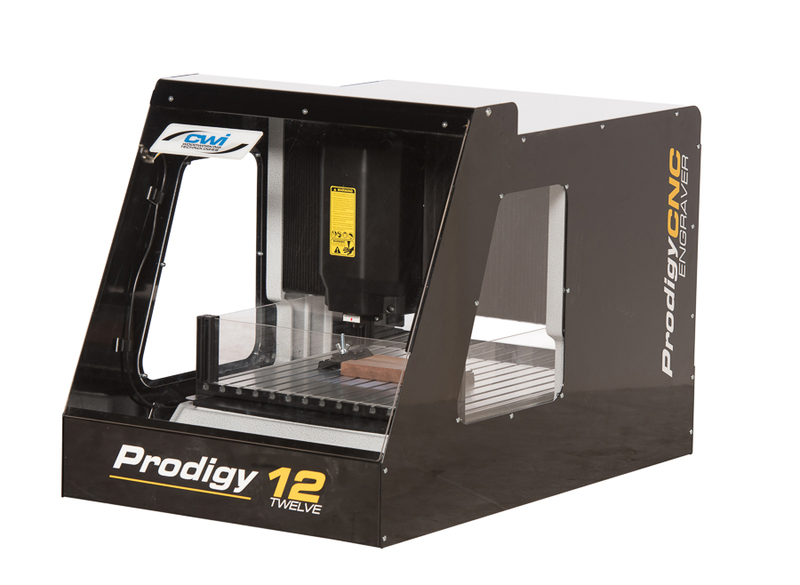 The “Prodigy” series of CNC engraving machines are the newest and most advanced bench top routers available today. Offering better performance, quality, motors, features and accessories, the Prodigy machines are truly the class of bench top CNC ! The Prodigy 1212P is extremely popular with users looking for performance and flexibility, but also with simplicity for use in Makerspace, educational and craft/hobby applications. 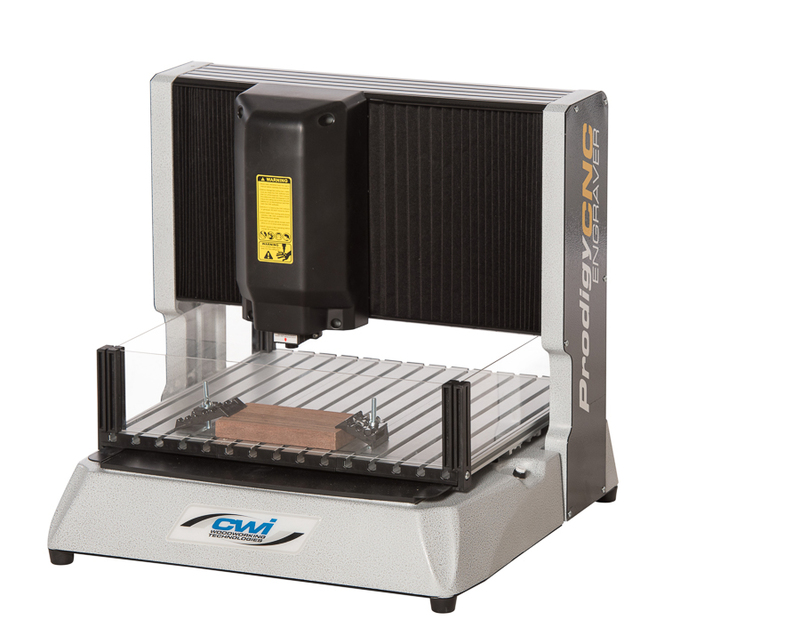 We find users commonly purchase these machines for use in single applications like hobby woodworking or even small crafting business but also in full blown CNC labs with multiple machines used in education as early as elementary school ages. They are exceptional at promoting creativeness both in mind and in body and are extremely safe to use in all applications with most ages. 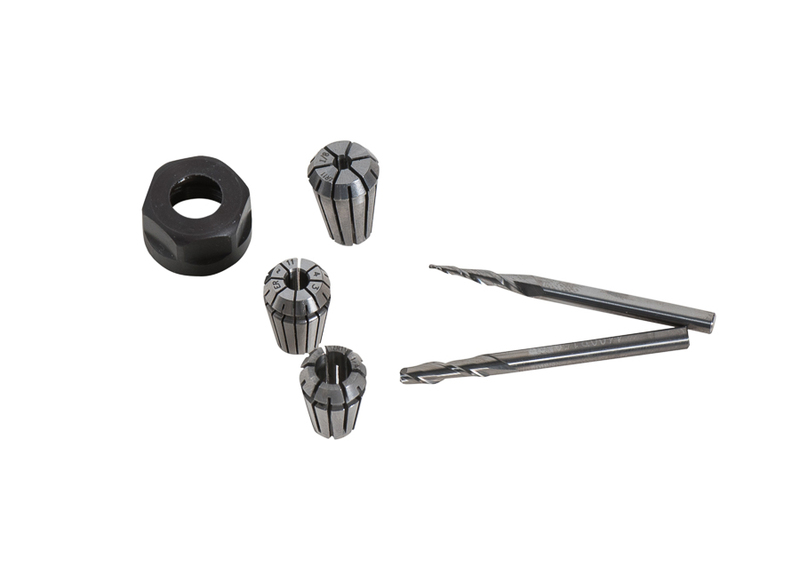 These small sized yet heavy duty CNC are built using the best in materials like a heavy duty frame cast in thick aluminum, for rigidity and accuracy. The heavy duty gantry, also cast in thick aluminum, is then rigid mounted to the base frame to further strengthen the machine for even more accuracy. 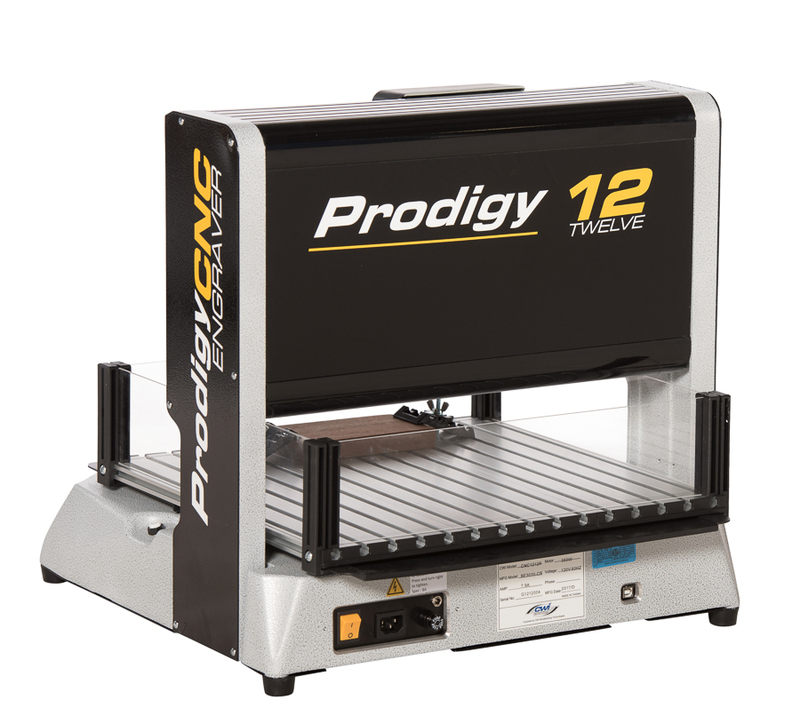 That’s right…instead of having a moving gantry for the “Y” axis the Prodigy 1212P uses a sliding black anodized aluminum table for the “Y” providing an excellent working surface with plenty of options for the use of hold down jigs. For the router spindle we use a 300 watt DC power 20,000 rpm variable speed motor which comes with 4mm, 1/8” and 1/4” ER11 collet chucks. 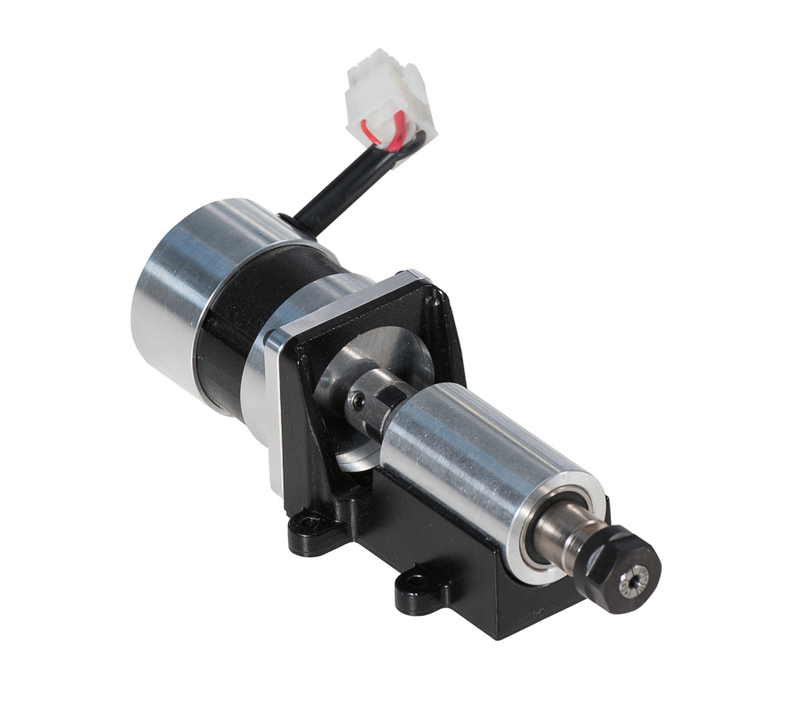 Many competitive machines use small Bosch or Dewalt AC router motors which are “rated” at 1.25 HP for max power which means they could “develop” under the right circumstances up to 1.25 hp. 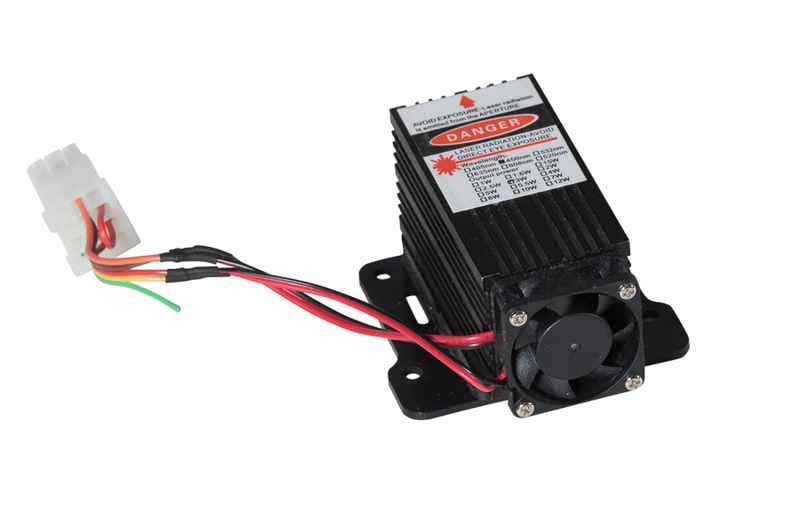 By using the DC motor The Prodigy has more continuous power (more torque), is a fraction of the noise level and is designed for a continuous duty cycle always at full power in all speed ranges. The machine runs at 36.9 decibels and up to 66 decibels in the cut. These machines are so quiet they could be used in a library! The 450mm x 440mm aluminum table offers a 300mm x 300mm x 100mm machining area with a gantry clearance height of just over 100mm. An led light is included for better viewing of the work area and an emergency stop button is standard for safety. This little machine can cut at up to 2500mm per minute (100”) in many materials like wood, plastics, foam, modeling wax and epoxies. Prodigy EDIT operating software and cnc control system are included with the machine as a standard feature. This is a basic software allowing users to produce simple projects like signs and pictures. If more intricate work is required we recommend the purchase of V-Carve Desktop software (sold separately). 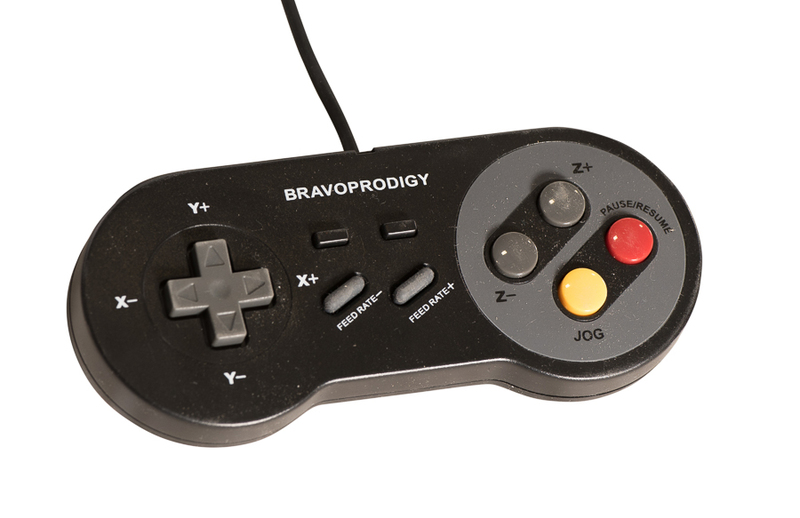 The EDIT controller is very simple and has the look of a popular gaming machine controller and plugs into the USB port of the computer operating the CNC. The Prodigy operates on 110 volt power on a standard 15 amp circuit breaker drawing 7.0 amps The Prodigy ships to our customers in a fully foam protected box measuring 24” x 23” x 23” and weighs in at 115 pounds. Also included with the machine are three collets, two carbide router bits, hold down clamps and an operator’s manual. Prodigy CNC are loaded with options available to enhance the users CNC experience. In addition to cutting with the 300 watt DC spindle, users can also purchase an optional 3 watt laser for burning artwork, pictures/signs or custom identifying of projects. An optional engraving head is also available for work in metals like stainless steel plates on trophies/plaques or even identifying personal or shop tools. A dust collection kit can be purchased for keeping the work area clean while cutting, or for removing the smoke when using the laser attachment. A full sound/safety enclosure can be used to enclose the machine for even quieter use and features a large front door opening with electrical interlock. If the door is open or is opened during operation the machine will no longer function till closed again. The dust collection kit can also be integrated to work in the sound/safety enclosure. If benchtop space in your shop is at a premium, we can also supply an optional heavy duty steel stand which offers a tool drawer for storage as well as a large shelf for a computer to sit for operating the machine. 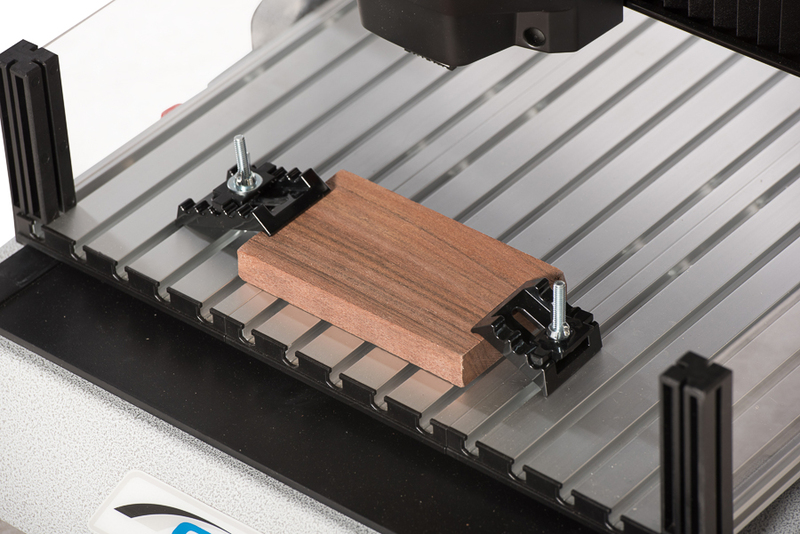 The stand is especially useful in CNC lab situations where multiple machines are in use at the same time. The prodigy CNC machines are truly amazing and simple to use, where ones imagination is the only limitation. Browse the product archive. Type: CNC. Brand: Scorpion. Bookmark the permalink.